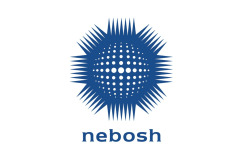 In our regular column, the experts from NEBOSH answer our readers’ HS&E questions. I’ve recently changed jobs and, as part of my new role, I will be running our site inductions. Can you give me any advice on how I can maximise their impact? Although on-site inductions are really important, they are often viewed as something to sit through and get out of the way. However, it is imperative that every single person who sets foot on site understands the steps they need to take to keep themselves and their co-workers safe. With a short and simple induction, you can prepare your team and prevent potential health and safety problems. Have a clear purpose - think about the specific information you need to get across and the key points workers need to take away. If you understand what you are trying to say, so will others. Plan your presentation – take a little time to think about the most logical way to structure the induction. Start with the most important information and emphasise the positive actions you want people to take. Give yourself a time limit and stick to it. You can also keep your audience’s interest by adding activities or different types of media (e.g. video). Location is key – hold the inductions in a quiet space with no distractions so that everyone concentrates on you. Keep it simple - what you are saying is important so don’t confuse people by overloading them with information. Keep to a few well explained messages and you’ll maximise the chances of people remembering what you tell them. You can use a little humour to keep workers engaged, but don’t trivialise what you are saying; inductions need to be taken seriously. Keep a record – make sure you log who has attended and set up a system for keeping an ongoing record. Not only does this show you who is cleared to be on-site, it also has legal standing should something go wrong. Emphasise responsibilities – make sure everyone understands the steps they need to take as individuals to keep the whole team safe. We are all responsible for health and safety and this needs to come across in your inductions. Be relevant – make sure the content of your induction reflects the work being carried out on site at the time. As a project progresses, hazards change and your team will need to be kept up to date with anything new or different that could impact the actions they need to take. Know your audience – it’s likely that you will have workers from multiple cultures who speak several different languages. To make sure everyone understands what you’re saying, incorporate visual information into your presentation or use video content that you can dub or subtitle in multiple languages. Alternatively, you could use native speakers to deliver the induction for you. Check understanding – you may want to use a short test at the end of the induction to confirm that everyone has understood your key points. Avoid mass inductions – it is better to keep to small groups and hold multiple inductions. People will concentrate better and are more likely to ask questions if there are fewer people. Remember though, that inductions are just one piece of the puzzle. The site management team must instil and support a positive health and safety culture to ensure that workers put the information you have passed on in the induction into practice. 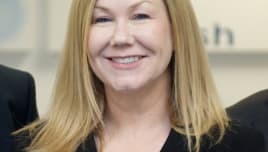 Learning from experts is a good way to build your confidence so consider getting some professional training to ensure your inductions are as good as possible. The NEBOSH International Construction Certificate, International General Certificate and Certificate in Health and Safety Leadership Excellence include information about planning and delivering inductions and positively influencing health and safety performance and culture in your workplace, and will help you learn the skills needed to keep your workforce safe. 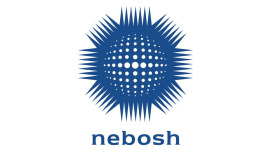 For further information about NEBOSH and its qualifications visit www.nebosh.org.uk.